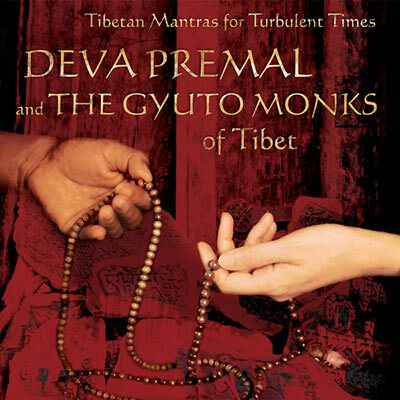 Deva Premal & the Gyuto Monks of Tibet have created a powerful, deeply moving mantra meditation album, offering eight Tibetan mantras chanted 108 times each. Deva and the Gyuto Monks are joined by Grammy Award Winner David Darling on cello, Kit Walker (producer of Love is Space and Embrace) on keyboards, and Nepalese bansuri maestro Manose, enhancing the deep silence that the mantras carry and creating a potent sound healing journey. Notes from Deva and from the Gyuto Monks on how to best use these mantras for a personal meditation practice, as well as their meanings, are posted in the Lyrics & Chords section. All proceeds of the CD are directed to the Gyuto Monastery in Dharamsala, India; the Phowa Project; and Veggiyana.